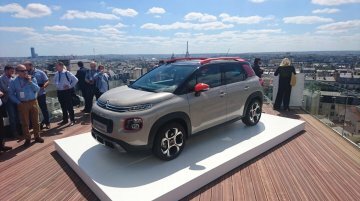 Citroen has showcased the Citroen C3 Aircross at the 2017 Frankfurt Motor Show. 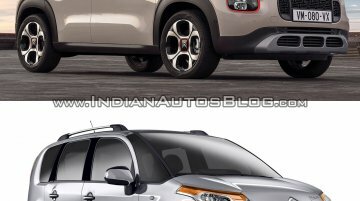 Here are the compact SUV’s images from the show. 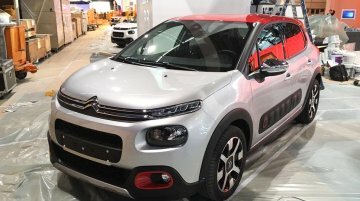 The Citroen C3 Aircross replaces the C3 Picasso. The design is.. 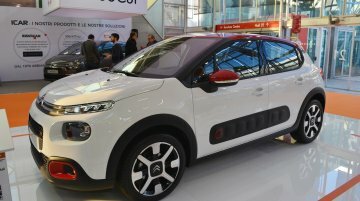 Since its launch on January 3, 2017, Citroen has sold 10,000 units of the new Citroen C3 in the United Kingdom making it their highest selling model in the country. In total, the car maker has sold ar..
Citroen's mini-SUV goes global with a major redesign. After the all-new Citroen C3 in June last year, Citroen unveiled the Citroen C3 Aircross based on it this week. 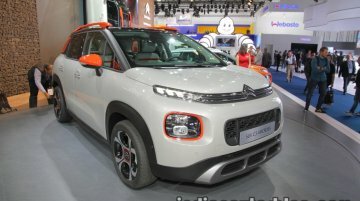 Here is a set of pictures from..
All-new Citroen C3 Aircross to go on sale in Europe in H2 2017. The original Citroen C3 Picasso arrived back in 2008 and welcomed a facelift in 2012. It's set to get replaced by the Citroen C3..
Official unveiling to take place this Monday. 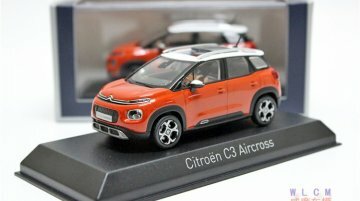 The 2017 Citroen C3 Aircross has leaked in a 1/43 scale model from French brand Norev. The new C3 Aircross' formal unveiling is programmed on 12 June..
Citroen is showcasing the 2017 Citroen C3 and the Citroen C3 WRC concept at the 2016 Bologna Motor Show in Italy. 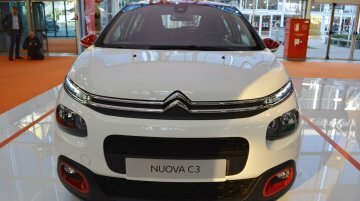 2017 Citroen C3 Citroen has sold more than 3.5 million units of the Citroen C3..
Expected to arrive in early 2017. 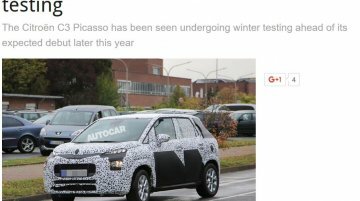 The 2017 Citroen C3 Picasso didn't show-up at the 2016 Paris Motor Show against expectations as the company is apparently still not done with the development of..
All-new model dumps traditional MPV appearance goes for a modern crossover look. The all-new 2017 Citroen C3 was officially unveiled in June and but its mini-MPV equivalent, the 2017 Citroen C3..
Will go on sale in January 2017. 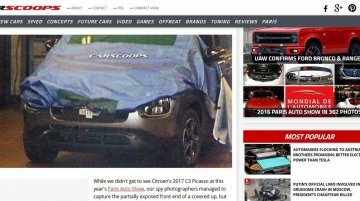 Ahead of its world debut at the 2016 Paris Motor Show on September 29, the 2017 Citroen C3 was spotted uncovered at the venue by AutoHome, showing off its bold,.. Yesterday, Citroen unveiled the 2016 Citroen C3 as the car's third generation model. 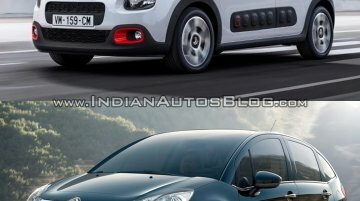 Here's how the (third generation) 2016 Citroen C3 is looks different from the (second generation) 2014 Citroen..